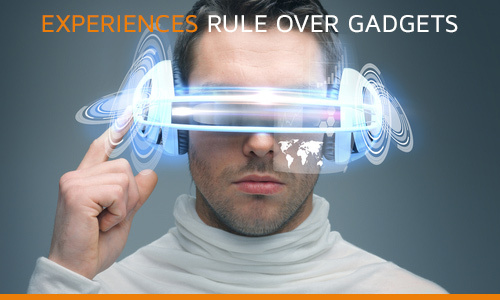 Reinvention was the major hot topic of this year’s Consumer Electronics Show in Las Vegas, attended by 170,000 tech lovers. Key players have shifted their product concepts to a new way of thinking that has resulted in exciting new technologies. Innovators wowed the crowd with displays ranging from drones you can ride in to virtual reality suits that immerse the wearer into exotic landscapes around the globe. This article will focus on the insights of 3 keynote speakers: Netflix, IBM and Intel. 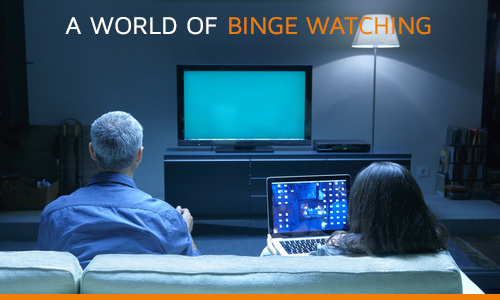 Netflix’s audience now reaches over half the households in the US. Hastings admitted it has taken them 20 years to make this dream come true. Along with this astounding reach, Netflix has not only captured the majority of viewers, but has upped the quality of the programming we watch. Netflix was the first company to put all the episodes of a show up at once, creating the era of “binge-watching.” And, nobody seems to be complaining. As Reed spoke on January 6th, 130 countries went live on Netflix. “You are witnessing the birth of a global TV network,” he told the crowd. One project Netflix is particularly proud of is filming local storytellers around the world in their own languages. In doing so they are preserving local culture for people in those areas. Ginni Rometty is the first IBM executive ever to speak at CES. Her insight was on where IoT and digital business is headed. Rometty shared her thoughts on where digital business is headed—and what is critical to its success. Most people at big events will tell you they either work for a digital company or they’re trying to become a digital company. This holds true for B2B, B2C, public or private. 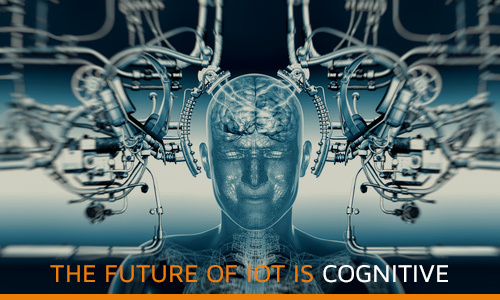 What is a cognitive IoT? When everyone becomes digital, then what? Digital is not a destination. It’s a foundation: wearables, sensors, cars—data is everywhere. What differentiates you and your business is UNDERSTANDING that data. The most disruptive trend is before us. It is cognitive. The ability of machines to think, learn and to understand the systems, products and processes. That’s the dawn of a new era of digital intelligence. Watch out, Ex Machina is here! What are the 2 critical factors for success in the cognitive era? Data that was invisible is now visible. 80% of the data out there is “dark” or not understood. That is what is changing. Cognitive computing is here—it is Artificial Intelligence—but there’s more to it. It must be in a language people understand and in specific verticals—like healthcare or finance. And, it is a system you do NOT program. These computers understand, and reason, and learn. They comprehend hypothesis and competence levels. Things have come a long way since IBM’s Watson took on Jeopardy champ Ken Jennings back in 2011. In 2011, Watson, their cognitive computer, had 5 technologies underneath it when it debuted on Jeopardy. At that time it could only question and answer. Today, Watson has 32 technologies under it and performs 50 functions. It’s also learning to use “5-senses” to gather information, and IBM has opened up Watson as a cloud platform. Enabling a world of amazing experiences. In 2014, they released the Curie module, a computer the size of a button. 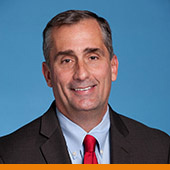 This year Krzanich showed the product lines where Curie is now being used. 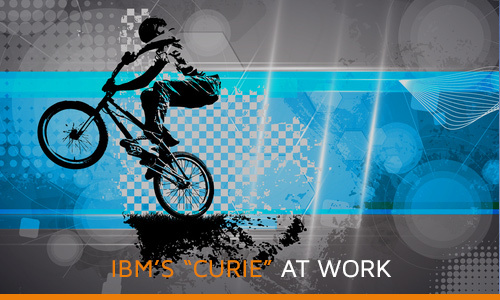 They staged a demo of BMX bikes stunts so that consumers could see the sensors track real-time statistical data, which was then displayed on a screen. These sensors will take sports television and training to new levels of precision. Consumers get to see this first hand in a couple of weeks at the X Games in Aspen, CO.
Entertainment and technology are driving each other. 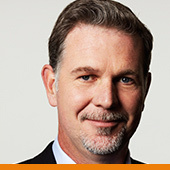 Netflix is now the first global television network. By shifting their focus from away from gadgets, Intel has become a company of experiences and is capturing that information in devices that measure and navigate. IBM is leading the way in the new era of cognitive computing and digital intelligence, finding meaning from enormous sets of dark data. Samsung introduced smart wearables and a fridge that shows you what’s inside and lets you order groceries from a display in the door. That’s handy for sure. But can it order a pizza? Probably. And it will know if you want pepperoni or not.